Find ASCII values, HTML notations, write in ASCII art, more. Is there a better alternative to AskKey? Is AskKey really the best app in Editors category? Will AskKey work good on macOS 10.13.4? AskKey... Find ASCII values, HTML notations, Unicode symbols. AskKey is a simple freeware application that is designed for those who work with ASCII characters and Unicode values. Using ASC/Chr, you can find ASCII values for particular characters or vice versa. Use HTML to find HTML notations for particular keys. Switch to 'Key' and press a key on your keyboard, and AskKey will tell you its ASCII value. When you work with Unicode symbols, try Sym1 and Sym2. 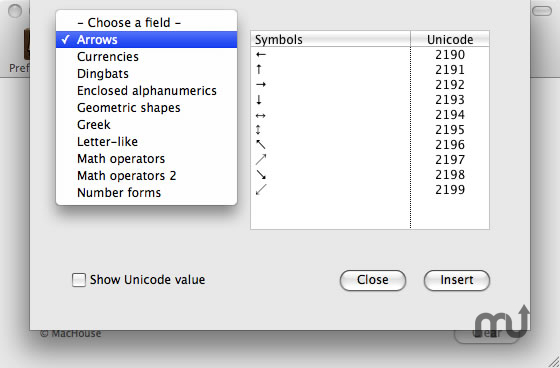 Sym2 covers hundreds of Unicode notations over 7 fields. Click here to read User's Guide. File & Ext are deprecated. Math operators, Math operators 2, Number forms. AskKey needs a review. Be the first to review this app and get the discussion started! AskKey needs a rating. Be the first to rate this app and get the discussion started!